With blog analysis you can get a true sense of what people think of your brand and what they are saying about it. Blog analysis extracts meaning from the many blogs, posts, and websites that are relevant to your organization or product. 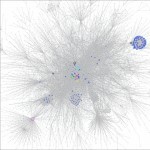 Using our Infomous(TM) content visualization technique, identify clusters of similarity in content–people talking about the same thing, expressing similar opinions, linking to the same sites or blogs, for instance. The clustering categories can vary, determined by what you believe is meaningful information.